Classic-design — for the mass of discriminating buyers who love beautiful furnishings, but who shop for value. Design and merchandising experts have acclaimed this chime as a best value among post-war home furnishings. The beautifully proportioned ivory plastic case is set off by a polished brass medallion. 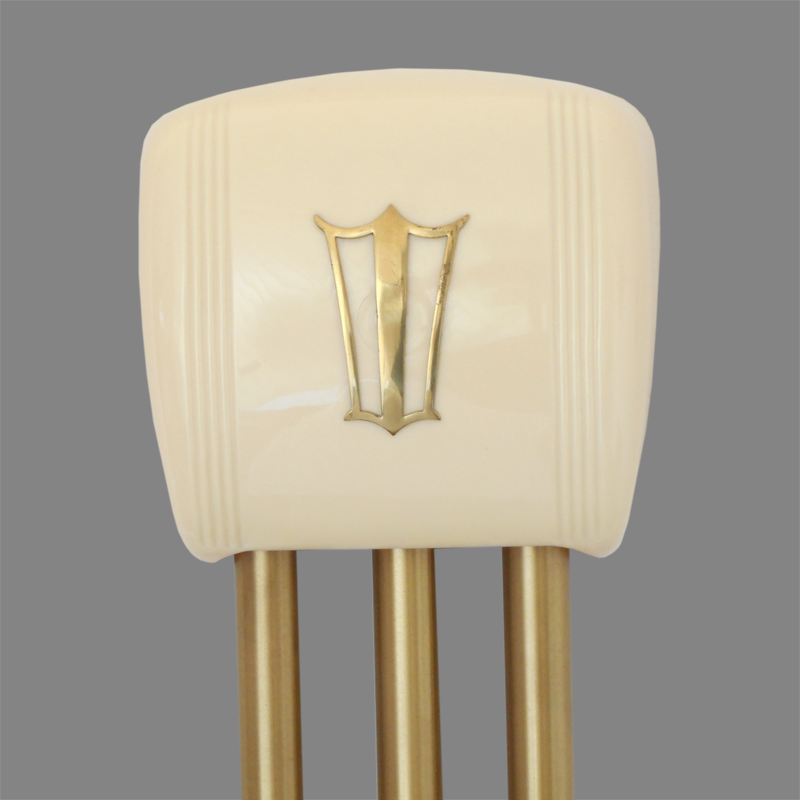 Satin finished lacquered brass tubes 1 1/8 inches in diameter, produce deep, organ-like tones. The sturdy, trouble-free mechanism operates on a minimum of transformer current. 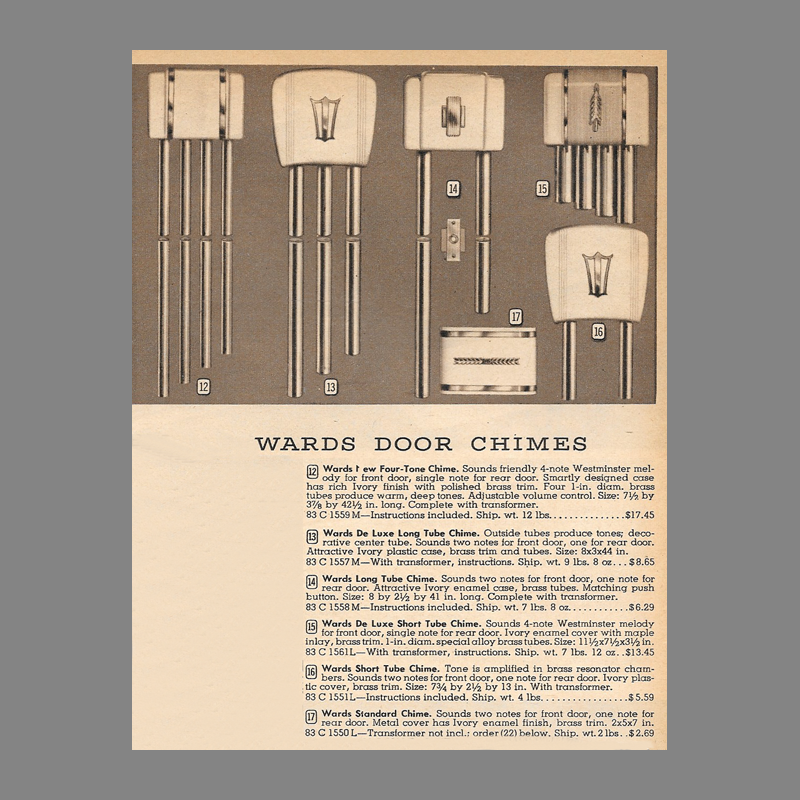 Curiously, this example hangs the longest bell on the right side although Liberty and Montgomery Ward catalogs show the longer bell on the left. It was likely available in either configuration. 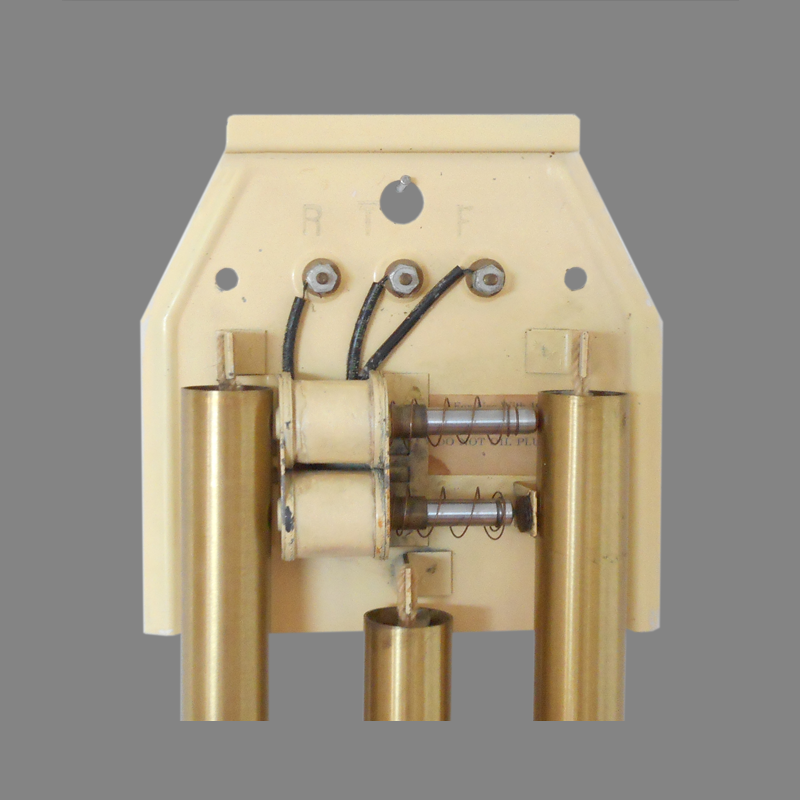 The 86-3 Rondo uses the a backplate that extends the cover several inches above the solenoids to provide a taller chime. This backplate was common to many Liberty. Edwards and Miami Carey models. 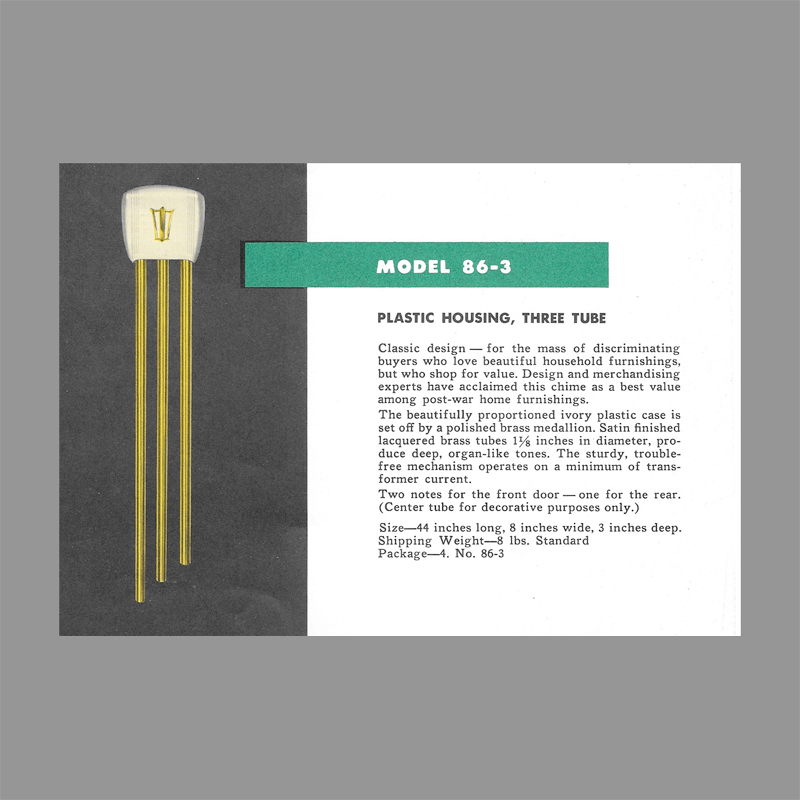 Cover Styrene Plastic; Brass Ornament.